A craft cocktail competition benefiting Nebraska Children. This year, PERFECT POUR attendees will gather together in a 1940s American jazz club-inspired setting to celebrate fun, friendship, and charity. Guests will sample local mixologists’ best concoctions made with Smooth Ambler Contradiction Whiskey while enjoying mid-century American cuisine and swinging to the sounds of the Big Band era. A historical photography silent auction along with original art from local artists will complement the evenings theme. An expert panel of judges will bestow prestigious awards for Best Cocktail and People’s Choice. 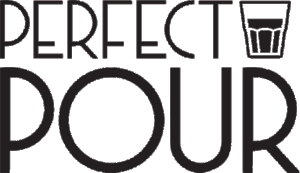 Click HERE to learn more about Perfect Pour 2019 sponsorships. Join Nebraska Children for a celebration of the heroes working to create positive change for kids in our state. Changemakers is Nebraska Children’s biggest event, hosting nearly 500 attendees. The Changemakers luncheon will also feature recognition of a few Nebraskans who have made a tremendous impact as advocates for children. For more information, or to sponsor one of our events, please email Kristin Lundgren.